This text is a letter to Japan from D. H. Garrett, a former U.S. State Department official, and a response from Yuki Tanaka, a citizen of Hiroshima. The Japanese version is followed by the English version. Re-posted from the Asia-Pacific Journal: Japan Focus. I am an admirer. I love your beauty and your strength, your serenity and your energy, your creativity and your traditions. Beyond that, I am deeply grateful to you for providing me with at least part of the education and experience that allowed me to follow a diplomatic career, one it is true which is over. Long ago in my teenage years, nothing gave me more joy than reading. Finally the day came though when I wanted to have the type of adventures I had been reading about, so I dropped out of college and hitchhiked around the world. It was in the Hindu Kush Mountains of Afghanistan that I met a young Japanese musician and reporter who was writing about nomadic peoples. Because I spoke a little Farsi I was able to help him negotiate a price for a horse and guide that was agreeable to all. That was the beginning of my Japanese karma. In fact we later met again by chance in Istanbul. At that point we decided to return to Europe together, where he had once performed as a musician and still seemed to have quite a few girlfriends. When it was time for him to return to Japan he invited me to come along. I was though at the moment deeply involved in learning French with a beautiful young woman, and said if he didn’t mind I would try and come later. And this is in fact what I did. After the tearful farewells of a lovely summer romance, I went to Japan and stayed with my friend in a little village high in the mountains of Niigata, the Snow Country. It was everything that Miyazawa Kenji might have written about, a place almost of heaven on earth because the earth was still full of moon, and stars, and magic. There were spirits in every tree and rock and animal and the gods and goddesses were not so far away that they didn’t make an appearance from time to time. Here I planted rice, and weeded rice, and harvested rice, and shoveled snow from the roof and yes, drank quite a bit of “Dobroku.” Maybe it was the Dobroku, but the result was that I managed to learn a little Japanese, too. This helped greatly in receiving my next fortunate bit of Japanese karma. After eventually returning to America and completing my degree, I wanted to return to Japan and so I applied to the Ministry of Education for a scholarship. I remember going to the Japanese Consulate in Houston, Texas to take the language exam. The staff was so amazed to find an American, a Texan who could read and write any Japanese at all that they kept coming in one by one to watch me take the test. Finally they stopped me, mid-test and said, “that’s fine, come and have some Udon with us.” It was all a little disconcerting, but the Udon was quite delicious and I guess you can say my Japanese karma was still good. Because there weren’t too many Americans at that time with a bit of Japanese language knowledge, my very basic Japanese stood out and I was able to receive a scholarship, and study for two years at Kyoto University as a Kenshuin. And this in turn, is what allowed me later to become a diplomat. After studying in Kyoto I returned again to America. Perhaps it was because of the influence of the subtle beauty of that blessed place, that I decided to turn my hand to writing, painting, and composing. Alas, being gifted in none of those, I eventually needed to find a real job. I took the exam to enter the Foreign Service and passed the written test, but missed passing the oral exams by a few points. Here again my lucky Japanese karma appeared. Because of my modest Japanese language knowledge, I was awarded a few extra points, just enough to pass, because the State Department at that time needed more Japanese speakers, and it had been identified as a Critical Needs Language. Suddenly I was transformed from ‘starving artist’ into a Diplomat! And this is where I get to the serious core of this letter, which, I’m sorry to say has probably meandered on too long already. I was eventually posted to Japan, as a Political Officer, a 2nd Secretary at the U.S. Embassy in Tokyo. There was much that I did, in terms of human rights, and trafficking in persons, and international organizations, which I think, speaks well of a productive relationship between two equal nations. There were though a few things I was asked to do, which I personally did not agree with, but which I carried out as part of my duties. I used to walk from the U.S. Embassy over to the Ministry of Foreign Affairs. If the message I was to deliver was one I didn’t agree with, I used to walk a little slower, wondering if I was selling my soul for a diplomatic passport. Once, for example, I was asked to deliver a demarche about the U.S. position on cluster munitions (basically that the new generation of these weapons was much safer). Japan of course has signed the Convention on Cluster Munitions, and the U.S. has not. These horribly indiscriminate weapons (new generation or not) are rightfully banned. 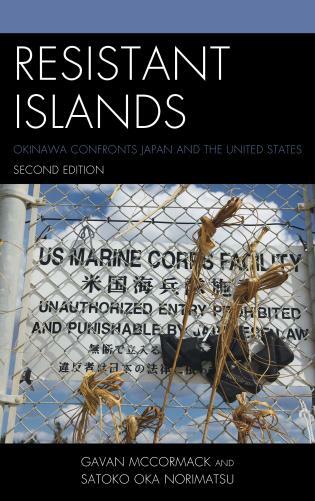 For Japan’s signature though to have any real meaning, it cannot allow it’s major defense ally to store them in Japan: to do so is to be complicit. 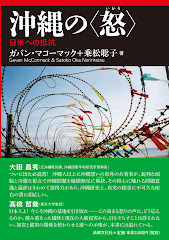 The U.S. position (as it is with landmines) is wrong and I apologize to the people of Japan for pretending otherwise. Once I was asked to deliver a demarche asking that Japan not support a U.N. resolution calling for research into the health effects of depleted uranium. As the children stillborn, or born deformed in Fallujah and elsewhere testify, depleted uranium weapons pose a horrible health risk even after their initial explosive destructiveness. The U.S. position is wrong and I apologize to the people of Japan for pretending otherwise. Once I was asked to deliver a demarche to the government of Japan asking them not to vote in the U.N. Human Rights Council to accept the Goldstone report from the U.N. fact-finding mission to the Gaza conflict. Had this report been written by a U.S. State Department Human Rights Officer (as I was) about a country that wasn’t a U.S. ally, it would have been widely praised by the Secretary of State. The U.S. position was wrong and I apologize to the people of Japan for pretending otherwise. Once, as a Human Rights Officer I was approached by a Japanese group, the Victims of the Red Purge, asking that I deliver a letter to President Obama, asking for an official apology for this U.S. occupation-instigated action that cost so many innocent Japanese their jobs and dignity. I wrote a cable which included their letter, to be delivered to Washington with the recommendation that the U.S. move past this mistaken cold war overreaction and issue a formal apology. The Embassy however overruled my recommendation. 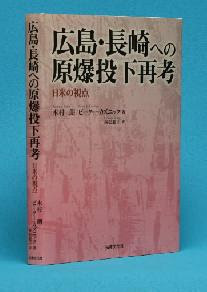 In fact, U.S. intervention in the domestic affairs of Japan to insure it had a loyal anti-communist ally, driven largely by a hysteric level of anti communist demagoguery in U.S. domestic politics, resulted in a profound warping of Japanese democracy, a warping which has persisted for a very long time. The U.S. position is wrong and I apologize to the people of Japan for not being successful in obtaining both an apology and a formal statement that during the Cold War, while the U.S. posed as a champion of freedom, and in some cases may have actually been so, in far, far too many countries and locales, it was deeply and criminally complicit in the suppression of many peoples who wanted that freedom but were so unfortunate as to be under regimes that touted their anti-communist credentials. In my own defense, I did try to raise my concerns in various venues. I sent two Dissent Channel cables on climate change, and still recall with a smile the day in the Ambassador’s mahogany-paneled conference room sitting at his magnificently long table across from a solid line of sparkling medal-bedecked military officers when, following a presentation on anti-missile defense, I pointed out that numerous studies (including from our own Congressional Budget Office) have determined that anti-missile defenses don’t work and it seemed to me that we were doing little more than making Raytheon and other corporations and consultants, rich. Ah, the wonderful awkwardness of that moment as if one could almost palpably hear the air escaping from so many punctured pompous balloons. And this is where I now ask the people of Japan for help. My country is no longer the country I once knew, a country moving at least in the direction of providing opportunity for all, regardless of income. The tendency to paranoia and international law-breaking was always there, at a low fever, in clandestine and semi-clandestine actions around the world, driven by visions of American exceptionalism pandered onto an all too naive public. Though I like to believe that there was the intention at least to make the world a better place, in fact these actions were frankly not just frequently amateurish and inept, they resulted in the suffering and death of many. Nor it seems, have any of the lessons been learnt. Since 9/11 the United States has adopted a national security policy that can most charitably be described as one of anaphylactic shock. Terrorism ranks with shark attacks in terms of real risk. We have however so over-reacted, and misreacted to the tragedy that we have become a danger both to ourselves and to others. We have squandered our treasure in the sands of hubris and misunderstanding, and I often wonder now if the real good that we do has become just a fig leaf to cover our obscenely over-muscled shadowhand -tattooed as it is with empty slogans- that wields death and destruction at the press of a button, but doesn't know how to build, and doesn't seem to have the slightest grasp of history. Out of the excesses of our fears, we have perverted our own constitution, and become a surveillance state, in which the government itself moreover has become, in the words of Nobel Prize winning economist Joseph Stieglitz, a “government of the 1% by the 1 % and for the 1%.” With a populace mired in debt, befuddled by vapid corporate media-tainment, and worshiping mindlessly at the rat-race temple of empty consumerism, America is now essentially run by the type of military-industrial-political-banker cabal that President Eisenhower had warned about. Japan please think twice, thrice about the things America asks you to do. Please be a good friend and send as much of our military home as possible. We cannot afford it anymore. Our poor are getting poorer, our education systems are falling behind, and our infrastructure is crumbling. Say that you are happy to work with us, but only if we find a way to either harness or reign in our greed so as to conserve and restore the earth’s natural systems which are all now rapidly being destroyed. Say that you would be happy to be our friend and ally in the greatest battle ever fought, the battle to preserve humanity and the earth from the now rapidly advancing onslaught of climate change. But do not get caught in the misguided adventurism of a decaying empire that is flailing about at phantoms, while the real dangers that haunts it, -climate change, environmental degradation, and the rapidly growing level of inequality of its own people- have essentially been sacrificed on the alter of a military-industrial-political-financial machine that is its own worst enemy. DISCLAIMER: The views expressed herein are solely those of the author, and do not necessarily reflect those of the U.S. Department of State or the U.S. Government. 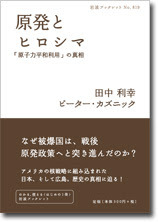 - Co-responsibilities of American and Japanese Citizens ? I was very moved by your honest and sincere letter. It is reassuring to know that among the staff of the U.S. State Department is a conscientious person like you, who entertains doubts about your own government’s policies, yet is struggling to improve your nation. I hope that some of your former colleagues will have the courage to speak out while they are still in office and criticize the U.S. government in order to change its political course for the better. I wonder if this is too optimistic a dream. Let me begin my response with a brief explanation of my own personal background as you did in your letter. I was born and grew up in a small country town in Fukui Prefecture, not far from the large Zen temple, Eiheiji, which means ‘temple of eternal peace.’ Founded in 1244 by the master monk Dogen, it belongs to the Soto sect. It is a beautiful, quiet place surrounded by mountains and the magnificent, clean Kuzuryu (the dragon with nine heads) River, which flows nearby. There is a brewery in this town that makes nice sake ? one of my favorites. You may know that even today more than 100 young men live in the temple, training to become qualified Zen monks. Unlike you, I was not at all interested in reading as a child. I was boisterous and played outdoors, running about and getting dirty. Yet, whenever I saw those young trainee monks outside the temple, I could not help feeling restrained and quiet, overcome with a respect that I didn’t really understand. I enjoyed school until I was about 9 years old, but from grade 4 onwards it offered little to interest me. You probably know that the Japanese school system was and still is basically designed to cram tedious factual knowledge into children’s heads. It does not aim to nurture creativity and the imagination of the individual. Frustration with this rigid system led me to dislike school intensely and I directed my feelings of anger and dissatisfaction at the teachers, thereby becoming a ‘problem child.’ In those days corporal punishment was widely sanctioned and I became a victim of the teachers’ constant violence, which made me more and more rebellious. This continued until graduating from senior high school. 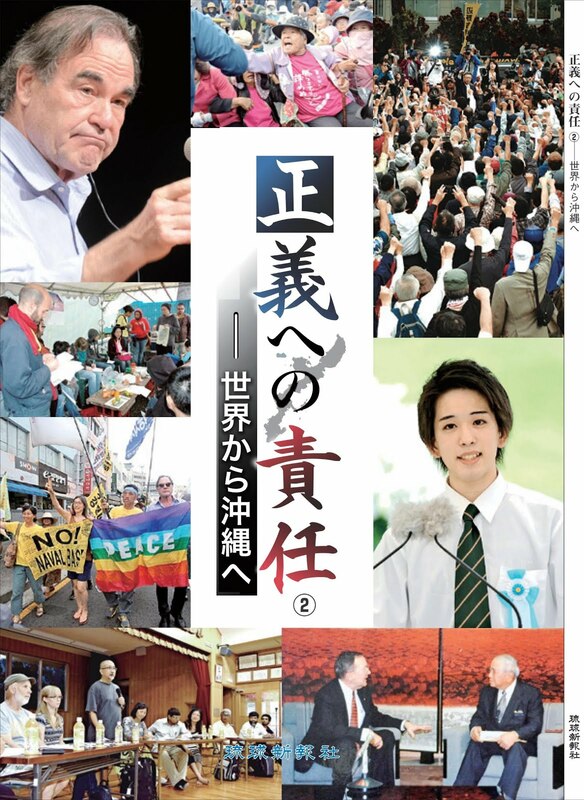 When I moved to Tokyo to attend university it was at the peak of the students’ political movement, and along with many of my fellow students, I became deeply involved. It was a great opportunity to express my ‘rebellion against authority.’ As a result, I hardly attended lectures and continued to be disinterested in reading. Yet, when the student movement began to wane and our zeal for social reformation quickly faded in the early 1970s, I suddenly realized that I did not have the knowledge to critically analyze the society of my own country. It was then that I developed a strong desire for knowledge and started reading voraciously. I have never read so intensely and widely in my life as in the first half of the 1970s. It is a real irony that a person like me, who hated school so much, became a university professor. Yet, teaching and research alone never satisfied me. For many years now I have found a balance by also being involved with different grass-roots civil movements. I strongly believe that university teaching and research can be enhanced by interaction with civil movement activities outside the university, thereby stimulating and enriching both groups of people. It is for this reason that I have such admiration for your fellow countryman, the late Professor Howard Zinn, who so successfully spread his work across these three fields. Of course I am no match for Professor Zinn, although I base my personal approach on this same philosophy. 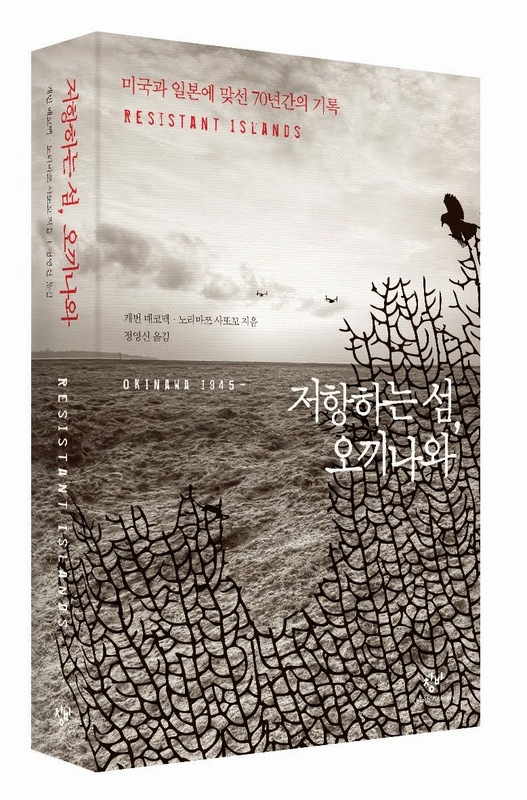 I have long been involved in many social and political movements including anti-nuclear, anti-war, anti-U.S. military bases, seeking the Japanese government’s war responsibility for such atrocities as the ‘comfort woman’ issue, maintaining Article 9 of Japan’s constitution among others. 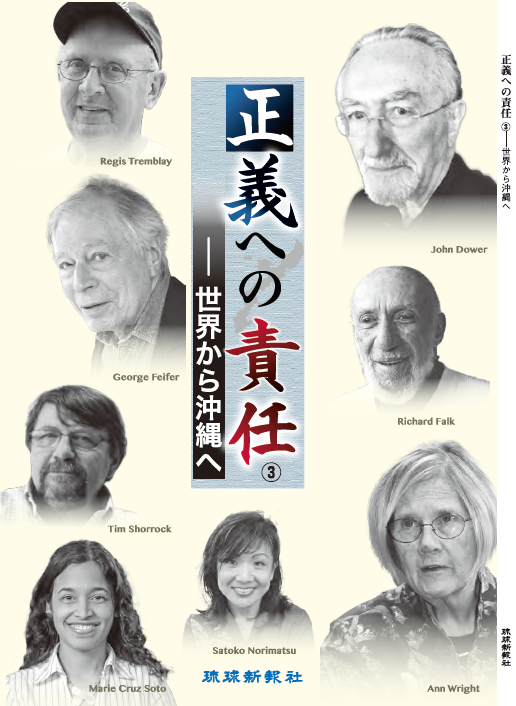 In particular, during the last 12 years, I have been active in a number of grass-roots movements in Hiroshima, where I have met many interesting people, from whom I have gained much valuable knowledge. At the same time I have endeavored to utilize this knowledge in my own academic research as much as possible. The ideas and opinions expressed in this letter thus reflect those of many of my fellow activists in Hiroshima and other parts of Japan. I apologize for this rather long introduction, and would now like to respond to your letter. 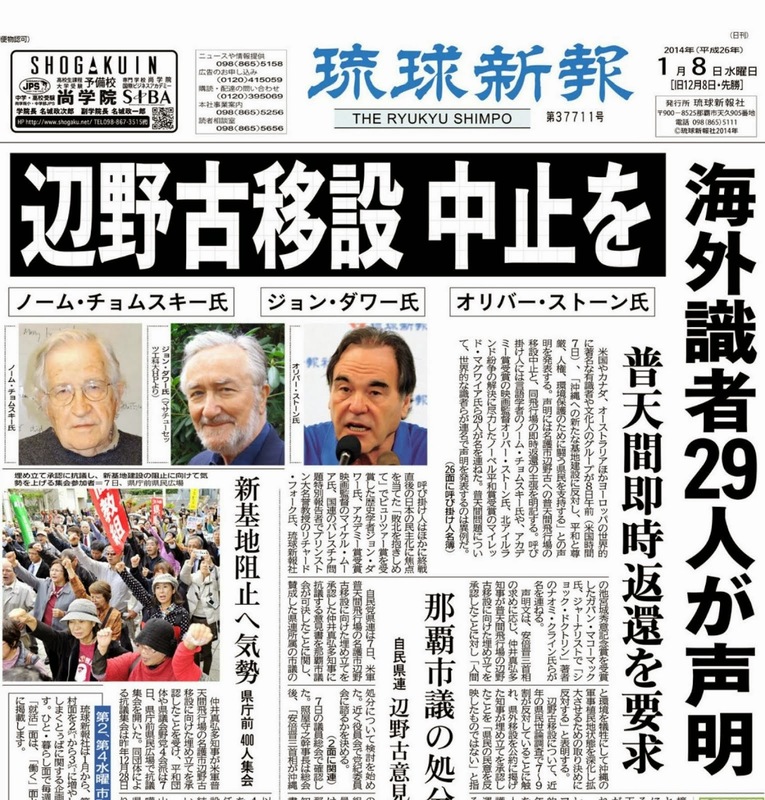 Today, Japan, like the U.S., is facing many grave social, political and economic problems. Without question, however, the most serious matter for the Japanese people is the on-going radioactive contamination that has resulted from the catastrophic nuclear accident at the Fukushima No.1 Nuclear Power Plant that was triggered by the Great East Japan Earthquake, which occurred on March 11, 2011. It is now two and a half years since the accident and large sums of money have been spent on decontamination work in the vicinity, yet radiation levels in the area have never declined. On the contrary, each day large quantities of highly radioactive water leak from the power plant into the Pacific Ocean and TEPCO is incapable of controlling this. More than 150,000 people from Fukushima are still unable to return home and so far more than 1,500 people have died as a result of the stress caused by dislocation. There is evidence that the rate of thyroid cancer among children is rising, and the fear of radioactive contamination is deeply undermining both the physical and psychological health of men and women of all ages. The radiation contamination caused by the Fukushima Power Plant is no longer simply a problem for Japan, but unquestionably a global concern. Surprisingly, however, Prime Minister Abe Shinzo continues to promote a strongly pro-nuclear advocacy. Not only is he endeavoring to restart all Japan’s nuclear reactors as soon as possible, he also aims to export Japanese nuclear reactors to overseas countries, as if no nuclear accident had ever occurred in Japan. Inevitably, by reinforcing these nuclear policies more people will be affected by radiation. Clearly, this is undesirable and potentially criminal conduct. 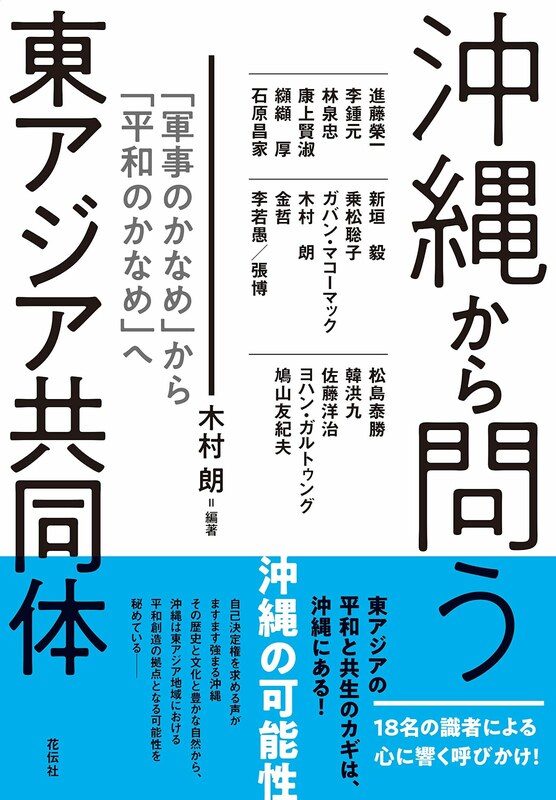 In September 2012 the then Noda Yoshihiko government of the Democratic Party of Japan launched a policy to stop the operation of all nuclear reactors in Japan by the 2030s and eventually to decommission them. This policy was soon scrapped, however, due to strong pressure from Japanese big businesses as well as the U.S. government. It is obvious now that the American and Japanese nuclear industries are closely intertwined, and it would be inconceivable for the nuclear industries to stop operating power plants just in Japan. 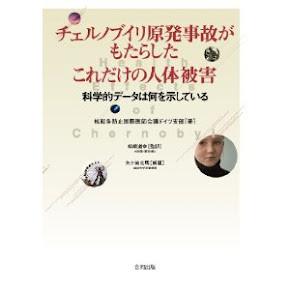 A television documentary recently broadcast in Japan revealed that soon after the explosions at the Fukushima reactors, the U.S. government and the U.S. military forces demanded that the Defense Ministry of Japan make an ‘heroic sacrifice’ when dealing with this nuclear accident, in order to maintain the U.S. ? Japan Alliance. In response to this request, on March 17, 2011, the Japanese Self Defense Forces sent two helicopters to spray water over the troubled buildings from the sky, which was filled with highly radioactive air. This dangerous mission was utterly useless in terms of decreasing radiation levels at the power plant. In the documentary your former colleague in the U.S. State Department, Mr. Kevin Maher, who was then director of the U.S. State Department's Office of Japan Affairs, clearly testified that this heroic sacrifice was indeed requested by Mr. Kurt M. Campbell, the then Assistant Secretary of State for East Asian and Pacific Affairs. The then Japanese Minster of Defense, Mr. Kitazawa Toshimi, also testified that this request had been made. * I imagine that you, too, are aware of this incident. Today the U.S. and Japan are closely intertwined not just in economic and business circles, but in the realm of military action too, where Japan has become subjugated to the U.S. Our Prime Minister, Mr. Abe, is now pushing to legalize the use of the right to collective self-defense, which has hitherto been regarded as a violation of Japan’s peaceful constitution. His final aim is to change the constitution and abolish Article 9 so that Japan would be able to possess proper military forces. It would seem that, theoretically at least, if the use of the right to collective self-defense is legalized or Article 9 of our constitution is abolished, and if the U.S. began a war against another nation, Japanese forces could be required to make an heroic sacrifice as part of this collaboration. It is an irony of history that Japanese soldiers, who were once forced to make an heroic sacrifice for their emperor, may have to show loyalty to the Stars and Stripes by making an heroic sacrifice for the American forces! The Japanese government, always subservient to U.S. military power, continues to agree to U.S. demands eagerly. It has accepted the requests to relocate the U.S. base from Futenma to Henoko and to deploy the accident-prone aircraft, Osprey, in Okinawa and Iwakuni. The U.S. military base in Iwakuni is only 47 kilometers from the city of Hiroshima where I live. U.S. jet fighters constantly conduct low altitude training flights over civilian homes in and around Iwakuni City, as well as over many parts of Hiroshima Prefecture. Many civilians suffer from sound stress caused by jets and live in constant fear of plane accidents. 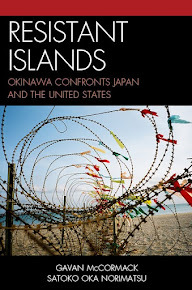 You will be aware that as a result of the Realignment Plan of the U.S. Military Forces in Japan, to which Japan agreed in May 2006, it was decided that the Iwakuni Base would be significantly reinforced and expanded. There is a strong possibility that Iwakuni will become the base for the largest attacking forces in northeast Asia in the near future. Moreover, Kure City not far from Hiroshima City is host to a large base of Japan’s Maritime Self Defense Forces. Since the Gulf War in 1991 this has served as the base for dispatching Mine Warfare Forces and transport vessels to the Middle East and Indian Ocean each time the U.S. conducts war in these regions. These days the MSDF’s overseas operations have become a regular service due to U.S. demands. In addition, the U.S. forces hold three large ammunition depositories in and around Kure City ? one in Kure City, one in Etajima, and another in Higashi Hiroshima City. It is said that the total storage capacity of these three depositories is the largest in northeast Asia. These depositories played vital roles in supplying ammunition to the American forces when they fought in wars in Korea, Vietnam, and the Middle East. It seems that large quantities of depleted uranium weapons used in the Gulf War were also stored in and transported from these storages. Today, Hiroshima City is known as a ‘Peace City,’ following the killing, destruction and suffering caused by the atomic bombing. Yet, the city is surrounded by American and Japanese military facilities, which are capable of destroying the peaceful life of many people in the Asia-Pacific region. The request in your letter that we send home as many of your military as possible is not a task that can be easily achieved by Japanese civil activists. Similarly, persuading our government to reduce its military budget is equally difficult. Informing the general populace in both countries of the extent of the military commitment and entanglement of our two countries might, however, be a useful step in the right direction. I urge you to help your fellow countrymen and countrywomen understand the current situation of the U.S. forces stationed in Japan and ask that you demand the withdrawal of U.S. forces stationed overseas. I wonder how many American citizens are aware that there are more than 1,000 U.S. military bases worldwide that require huge sums of money to maintain. Every year our government alone spends about 200 billion yen (more than 2 billion dollars) contributing to the cost of maintaining U.S. forces in Japan. If the U.S. would cease pressure on Japan and other allied nations to commit to increase military spending and itself reduce its own massive military budget, the world would be a better place. I urge you and your fellow citizens to join us in our attempts to increase public awareness of the cost and detriment of these military arrangements. Japan has many problems with its domestic policies, too. Prime Minister Abe’s promotion of economic polices under the banner of ‘Remaking Japan Robust’ is simply an old fashioned way of stimulating the economy by funding large construction projects that favor big industries. This includes such things as the 2020 Tokyo Olympics and the Trans-Pacific Strategic Economic Partnership (TPP), which incidentally completely ignore environmental issues. As a result, the population is suffering from inflation, tax increases, the sharp decrease in public health funds and other social welfare funds and the fact that currently 40 per cent of the labor force, or over 20 million workers, are part-time or casual workers, whose labor rights are not fully protected. As in your country, the poor are getting poorer, in particular single mothers and pensioners. There are many other issues, too. 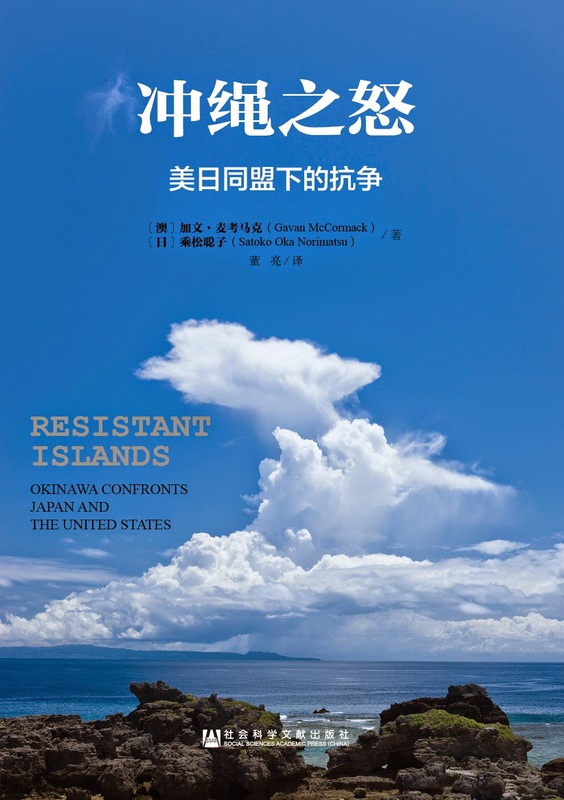 The current government’s policy regarding the so-called ‘Senkaku Island issue’ is totally dysfunctional, as it ignores the historical background, makes one-sided claims and fails to engage in dialogue with the Chinese government. Similarly, the government’s handling of the ‘comfort women’ issue has been equally incompetent. 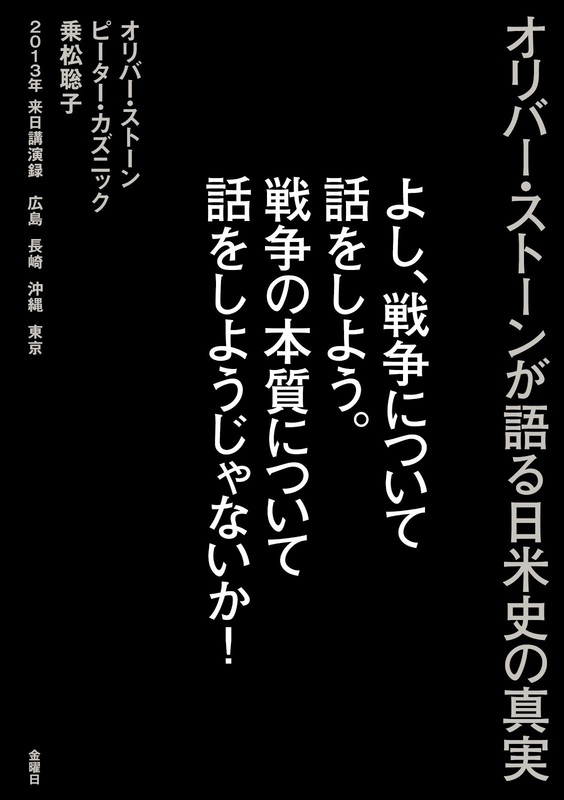 Mr. Abe has repeated an ignorant claim that there is no evidence to prove the enforcement of sexual slavery. 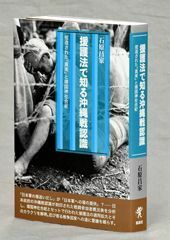 Unashamedly, he publicly denounced the 1993 statement by Kono Yohei, then Chief Cabinet Secretary, acknowledging the Japanese government’s direct responsibility for this matter. The issue of Japan’s ‘war of aggression’ between 1931 and ’45 is also problematic. Mr. Abe has stated that there is currently no clear definition of ‘war of aggression,’ implying that Japan did not invade China and other Asian nations. 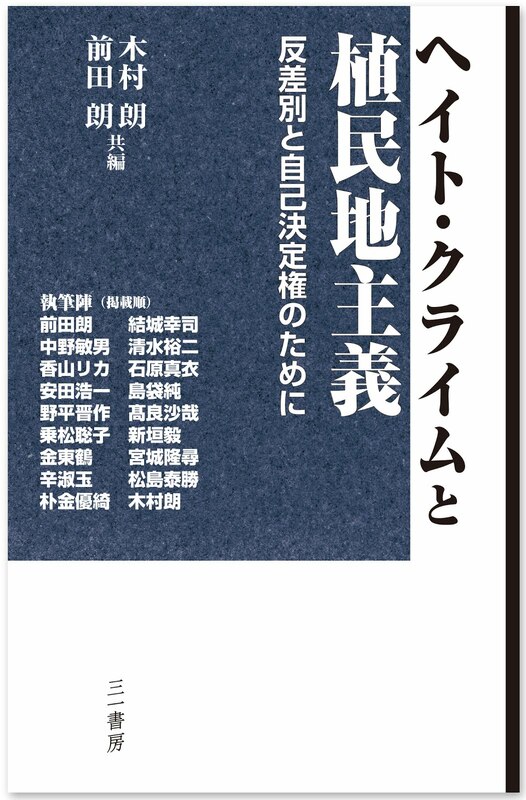 In contrast to his statement, however, Japan’s war of aggression was clearly acknowledged as a crime against peace at the Tokyo War Crimes Tribunal, and since then the legal concept of ‘war of aggression’ has been well developed and defined by many international law specialists. Such assertions, which clearly indicate an ignorance of historical facts are causing friction, not only with China and Korea, but also with the U.S. and other Western nations. 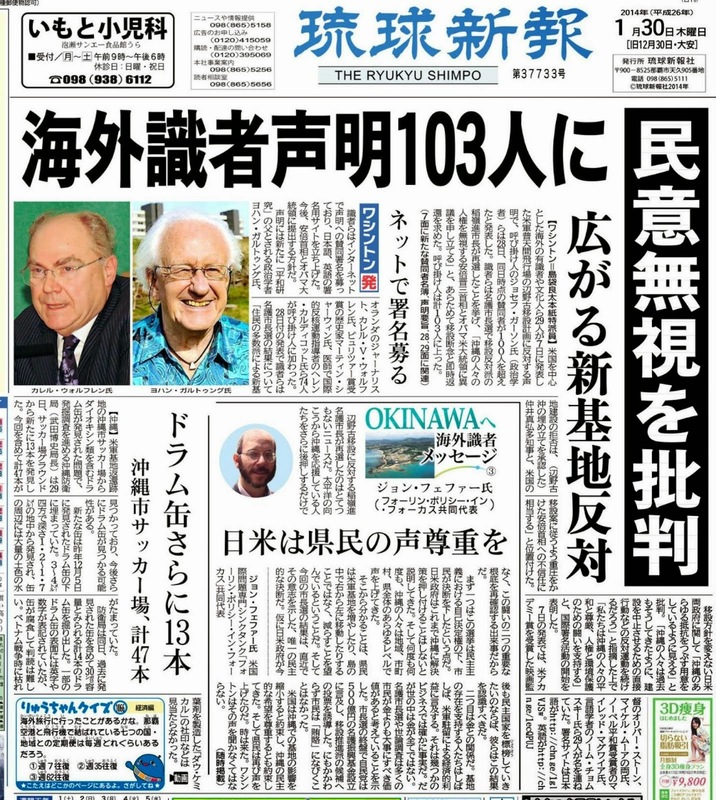 It is of great concern that this lack of information is causing Japan to lose international credibility as a nation. Your comment that the U.S. appears not to have learnt from past lessons is a problem Japan also shares, as I have indicated above. Although our country was the victim of the atomic bombing, one of the most serious crimes against humanity in history committed by your government, Japan has been one of the most eager supporters of U.S. nuclear strategies. Indeed, since President Eisenhower’s announcement of ‘Atoms for Peace’ in December 1953, we have doggedly sought to use nuclear energy. The ultimate result of this pro-nuclear drive, devoid of foresight, was the disastrous accident at the Fukushima No.1 Nuclear Power Plant. As a consequence, we are now contaminating the Pacific Ocean, constantly discharging large quantities of highly radioactive water. To add to this catastrophe, there are currently 1,533 fuel rods in the spent fuel pool on an upper floor of the Unit 4 reactor building, which was badly damaged and weakened by the earthquake and the subsequent explosion. It is said that the amount of cesium 137 in this fuel pool is equivalent to 5,000 Hiroshima atomic bombs. Currently, no one really knows how to handle this problem. If this building collapses and the fuel pool loses cooling water, the consequences are unimaginable. Not only the entire Japanese Archipelago, but possibly large parts of the northern hemisphere, will be seriously affected by highly toxic radiation. Tokyo will most probably become uninhabitable and Japan’s dream of the 2020 Olympic Games will turn into an horrendous nightmare. In the long term, this is a truly serious problem, which may endanger all life on this planet. Although the issue of climate change is without doubt one of the greatest issues concerning the planet and mankind, it would seem to me that the most imminent, dangerous and formidable enemy for the US-Japan Alliance is the possibility of a ‘nuclear holocaust’ on a scale never experienced until now. I would therefore urge you and your fellow American citizens to join us in an international campaign, demanding US-Japanese cooperation that unites our wisdom and knowledge in order to find and implement an effective method for solving the current Fukushima crisis. I beg you to embark on this immediately, before it becomes too late. The U.S. and Japan must share responsibility for the present crisis. It was the U.S. that developed, used and proliferated nuclear weapons and vigorously promoted this technology as an energy source worldwide. Yet Japan ignorantly augmented the use of nuclear power despite our costly experience as the victims of radiation from the atomic bombing. ** Both nations have a duty to protect human beings, including future generations, as well as all living creatures and the natural environment of this planet. Thank you for reading my response. 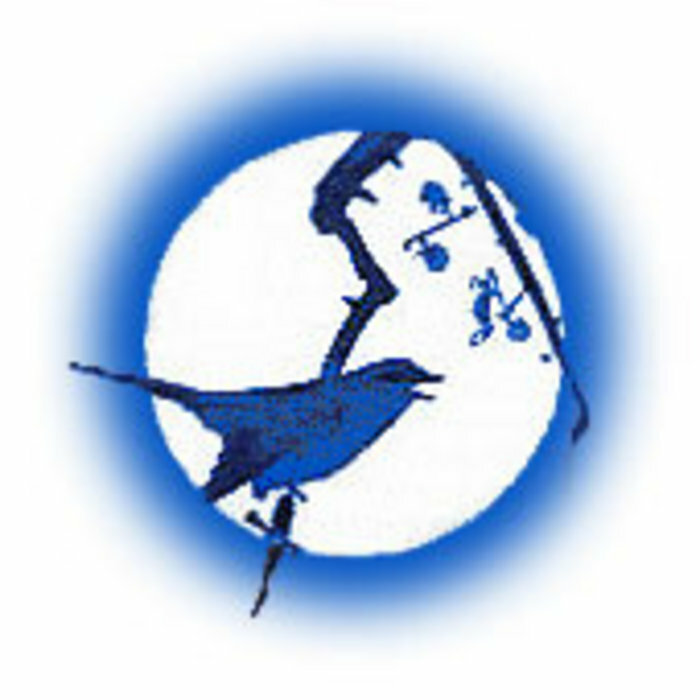 Lastly, I sincerely hope that many Americans and Japanese readers of this web site will join this discussion, and consolidate our efforts by exchanging ideas and opinions through this site to solve our common problems. I am deeply moved by your sincere and honest 'confession'. As long as there are people like you even among the US diplomats there remains hope ! which explains in detail about the situation. I would appreciate very much if you find time to read the article.